"Jody Wisternoff of Way Out West is something of a seasoned veteran. With an impressive career that spans 11 years to date, Jody has achieved commerical success and critical acclaim as a producer, remixer and DJ. In the late '80s, legendary Bristol duo Smith and Mighty opened up their studio to two very young kids who went by the name of Tru Funk Posse (comprised of Jody and his younger brother Sam). These two self-taught, pre-pubescent hip hoppers had already produced a hefty handful of tracks utilizing one of the first-ever computer based drum machines which ran on the ZX Spectrum, the classic rubber-keyed computer which is best remembered for games such as "Jet Set Willie" and "Attic Attack." With a modified belt-driven record deck, the older member of T.F.P. (not yet a teenager) learned to imitate the hip hop DJs of the time who were still inventing and mastering the art for themselves. Under Smith and Mighty's Three Stripe Label, the two youngsters released a well-received single as well as accepted gigs anywhere the bouncers would let them through the door. They even broke through to the finals in one of the first-ever DMC championships while receiving national notoriety from mags such as The Face, Hip Hop Connection and I.D. Who was responsible for the musical side of the operation? None other than a pre-teen Jody Wisternoff who, as well as filling the world's most illustrious dance floors, is also half of one of house music's most progressive acts - Way Out West. During the early '90s Jody could be seen behind the decks at massive raves like Universe. In addition, he acquired a 3-yr. residency at Bristol's seminal Lakota Club. He was also found collaborating with Die of Roni Size's Full Cycle Crew. The duo (first known as Tru Funk then as Sublove) released several records including 4 am which, to this day is regarded as an underground house classic. He's currently hosting two monthly radio shows, "Intensified" for Frisky and "Way Out There" for Proton. Q: Have you ever been part of an iconic Bristol duo? Q: You and your pal have been championing Nu/Space Disco in the past, you still play lots and lots of great vocal and disco tracks and everybody is apparently digging it. Why is it that vocal tracks have such a bad rep? Is that going to change back? A: Cheesy vocals will always have a bad rep, and quality vocals will always be special and touch places that instrumental dance music cannot. A lot of DJs maybe think they are too cool to play vocals , but I wouldn't say vocal tracks as a genre have a bad rep , at all !! Q:Seriously, is there any connection between reality (clubs, club-goers, parties, business) and how the whole scene thing is perceived, ie: Internet boards and, why not, the DJMag Top100? A: Of course, the 2 are hugely connected. Some would even say the internet saved dancemusic ! Of course there are cons ( piracy etc ) , and you shouldn't take too much notice of forum haters etc , but in general the internet has allowed this scene to flourish to the furthest corners of the world. Q: Is there a pop/rock group you currently like? and touchscreen technology allows infinite variations. Cool or not cool? 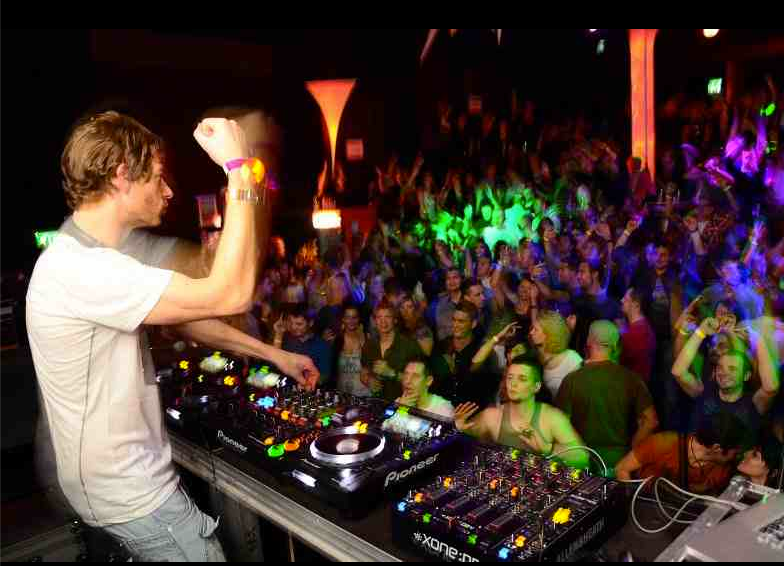 A: Cool for many things ( playing live , studiowork etc ) , but for DJing i think its best to stick to CDJs. I like the tracks to breath and evolve as the producer intended , and also I think too much power in the wrong hands is a dangerous thing. Q: One for the road. A: Thanks to anyone who's supported me over the years, and watch out for new material coming very soon. All times are GMT -4. The time now is 08:41:13 AM.